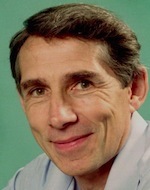 Robin Hesketh is the author of Introduction to Cancer Biology (2012). He has been a member of the Biochemistry Department at the University of Cambridge for over twenty-five years. He has taught at all undergraduate levels from first-year medicine to fourth-year biochemistry on a wide range of cell and molecular biology topics with a particular focus on cancer. His major research area is the development of anti-angiogenic strategies for the treatment of cancer.